Please look at a live perspective of what you can currently test drive on our lot. You can use one of our smartbrowser tools below to help make your decision easier. Break down your criteria of what the perfect certified pre-owned Subaru is for you! If you have any trouble finding the vehicle you are looking for, please try our Vehicle Finder Service and our wonderful sales people will find it for you. 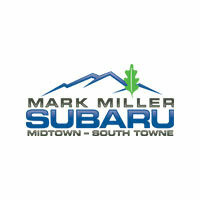 Purchase a Certified Pre-Owned Outback, Legacy, Forester, Impreza and more from either convenient location. What is a Certified Pre-Owned Subaru? View the 152 point inspection sheet right here. MECHANIC SPECIAL. Sold AS-IS. Ca$h Only. Our Principles of Love Promise: *Promise Pricing, No Negotiation *Non-Commissioned, Pressure Free, Efficient & Helpful Staff *Eco Friendly Dealerships *Active Community Involvement *Open & Transparent Offices *Trade-In Guarantee: We Buy Even if You Don't. Proudly serving the Salt Lake and surrounding areas, including: Bountiful, Logan, Ogden, Park City, Provo and Tooele. Clean CARFAX. MECHANIC SPECIAL. Sold AS-IS. Ca$h Only.. Priced below KBB Fair Purchase Price! Our Principles of Love Promise: *Promise Pricing, No Negotiation *Non-Commissioned, Pressure Free, Efficient & Helpful Staff *48HR Money Back Guarantee *Eco Friendly Dealerships *Active Community Involvement *Open & Transparent Offices *Trade-In Guarantee: We Buy Even if You Don't. Proudly serving the Salt Lake and surrounding areas, including: Bountiful, Logan, Ogden, Park City, Provo and Tooele. TIMING BELT JUST REPLACED! All Serviced & Ready to go! ***CLEAN CARFAX***, ***NO ACCIDENTS ON CARFAX***. 2012 Subaru Outback 2.5i, in Crystal Black Silica and Warm Ivory interior. Remote keyless entry, AM/FM/MP3, Tilt/Telescoping Steering Wheel w/ Cruise & Audio controls, Air-conditioning, POWER: WINDOWS/LOCKS/MIRRORS, Cruise control, Symmetrical All Wheel Drive with Vehicle Dynamics Control. Our Principles of Love Promise: *Promise Pricing, No Negotiation *Non-Commissioned, Pressure Free, Efficient & Helpful Staff *48HR Money Back Guarantee *Eco Friendly Dealerships *Active Community Involvement *Open & Transparent Offices *Trade-In Guarantee: We Buy Even if You Don't. 22/29 City/Highway MPG Awards: * 2012 IIHS Top Safety Pick * ALG Best Residual Value * 2012 KBB.com 10 Best Family Cars * 2012 KBB.com Best Resale Value Awards Proudly serving the Salt Lake and surrounding areas, including: Bountiful, Logan, Ogden, Park City, Provo and Tooele. ***NEW TIRES*** just in time for spring fun! Premium w/ All Weather Package! 2014 Subaru Impreza Premium, in Satin White Pearl and Ivory interior. All Weather Package (Heated: Seats, Windshield, and Mirrors), Remote keyless entry, AM/FM/MP3 w/ SiriusXM® Satellite, Bluetooth® Hands-Free Phone System, USB, Tilt/Telescoping Steering Wheel w/ Cruise & Audio controls, Air-conditioning, POWER: WINDOWS/LOCKS/MIRRORS, Cruise control, Symmetrical All Wheel Drive with Vehicle Dynamics Control. Our Principles of Love Promise: *Promise Pricing, No Negotiation *Non-Commissioned, Pressure Free, Efficient & Helpful Staff *48HR Money Back Guarantee *Eco Friendly Dealerships *Active Community Involvement *Open & Transparent Offices *Trade-In Guarantee: We Buy Even if You Don't. 27/36 City/Highway MPG Awards: * 2014 IIHS Top Safety Pick Proudly serving the Salt Lake and surrounding areas, including: Bountiful, Logan, Ogden, Park City, Provo and Tooele. RARE 5 Speed Manual! CARFAX One-Owner. ***CLEAN CARFAX***, ***NO ACCIDENTS ON CARFAX*** 2014 Subaru XV Crosstrek Premium, in Satin White Pearl and Ivory interior. Remote keyless entry, AM/FM/MP3 w/ SiriusXM® Satellite, Bluetooth® Hands-Free Phone System, USB, Tilt/Telescoping Steering Wheel w/ Cruise & Audio controls, Air-conditioning, POWER: WINDOWS/LOCKS/MIRRORS, Cruise control, Symmetrical All Wheel Drive with Vehicle Dynamics Control. Our Principles of Love Promise: *Promise Pricing, No Negotiation *Non-Commissioned, Pressure Free, Efficient & Helpful Staff *48HR Money Back Guarantee *Eco Friendly Dealerships *Active Community Involvement *Open & Transparent Offices *Trade-In Guarantee: We Buy Even if You Don't. 23/30 City/Highway MPG Awards: * 2014 IIHS Top Safety Pick Proudly serving the Salt Lake and surrounding areas, including: Bountiful, Logan, Ogden, Park City, Provo and Tooele. ALL WEATHER PACKAGE ***NO ACCIDENTS ON CARFAX*** 2012 Subaru Outback Premium, in Cypress Green Pearl and Warm Ivory interior, with low miles. Power Seat, All Weather (Heated: Seats, Windshield, and Mirrors), AM/FM/MP3, Steering wheel mounted audio controls, Remote keyless entry, Tilt & Telescoping Steering Wheel, Alloy Wheels, Symmetrical All Wheel Drive, Vehicle Dynamics Control, Traction Control. Our Principles of Love Promise: *Promise Pricing, No Negotiation *Non-Commissioned, Pressure Free, Efficient & Helpful Staff *48HR Money Back Guarantee *Eco Friendly Dealerships *Active Community Involvement *Open & Transparent Offices *Trade-In Guarantee: We Buy Even if You Don't. 22/29 City/Highway MPG Awards: * 2012 IIHS Top Safety Pick * ALG Best Residual Value * 2012 KBB.com Best Resale Value Awards * 2012 KBB.com 10 Best Family Cars Proudly serving the Salt Lake and surrounding areas, including: Bountiful, Logan, Ogden, Park City, Provo and Tooele. ***NEW TIRES***! Just in time for spring! ***NAVIGATION***, ***MOONROOF***, BLINDSPOT DETECTION, CROSSTRAFFIC ALERT! Harman Kardon Surround Sound! ***CLEAN CARFAX***, ***NO ACCIDENTS ON CARFAX*** 2015 Subaru Legacy Limited, in Crystal White Pearl and Warm Ivory Leather. Moonroof Package & Keyless Access & Navigation, Push Button Start/Stop, Harman Kardon Sound, Dual Zone Auto Climate Control, SiriusXM® Satellite, Bluetooth® Hands-Free Phone System, Aha Infotainment, Auto-Dimming Rear View Compass Mirror w/Homelink®, USB, Steering wheel mounted audio controls, All Weather (Heated: Front Power Seats, Rear Seats, Windshield, and Mirrors), Backup camera, Symmetrical All Wheel Drive with Vehicle Dynamics Control. Our Principles of Love Promise: *Promise Pricing, No Negotiation *Non-Commissioned, Pressure Free, Efficient & Helpful Staff *48HR Money Back Guarantee *Eco Friendly Dealerships *Active Community Involvement *Open & Transparent Offices *Trade-In Guarantee: We Buy Even if You Don't. 26/36 City/Highway MPG Awards: * 2015 KBB.com Best Resale Value Awards * 2015 KBB.com 10 Best Sedans Under $25,000 * 2015 KBB.com 10 Best All-Wheel-Drive Vehicles Under $25,000 * 2015 KBB.com 5-Year Cost to Own Awards * 2015 KBB.com Brand Image Awards Proudly serving the Salt Lake and surrounding areas, including: Bountiful, Logan, Ogden, Park City, Provo and Tooele. LOADED: ***EYESIGHT***, ***MOONROOF***! CARFAX One-Owner, ***CLEAN CARFAX***, ***NO ACCIDENTS ON CARFAX***. 2015 Subaru Impreza Sport Premium, in Crystal White Pearl and Ivory Sport interior. EyeSight/Moonroof/Subaru Starlink 7.0 Multimedia Plus System. Adaptive Cruise, Pre-Collision Braking, Backup camera, Steering wheel mounted audio controls, All Weather (Heated: Front Power Seats, Rear Seats, Windshield, and Mirrors), Auto-Dimming Rear View Compass Mirror® w/Homelink, Symmetrical All Wheel Drive with Vehicle Dynamics Control. Our Principles of Love Promise: *Promise Pricing, No Negotiation *Non-Commissioned, Pressure Free, Efficient & Helpful Staff *48HR Money Back Guarantee *Eco Friendly Dealerships *Active Community Involvement *Open & Transparent Offices *Trade-In Guarantee: We Buy Even if You Don't. 27/36 City/Highway MPG Awards: * 2015 IIHS Top Safety Pick+ * ALG Residual Value Awards * 2015 KBB.com Brand Image Awards * 2015 KBB.com Best Resale Value Awards * 2015 KBB.com 5-Year Cost to Own Awards Proudly serving the Salt Lake and surrounding areas, including: Bountiful, Logan, Ogden, Park City, Provo and Tooele. Priced below KBB Fair Purchase Price! CARFAX One-Owner. 2016 Subaru Impreza 2.0i, in Venetian Red Pearl and Black interior. Backup camera, Remote keyless entry, AM/FM/MP3 w/ SiriusXM® Satellite, Bluetooth® Hands-Free Phone System, USB, Tilt/Telescoping Steering Wheel w/ Cruise & Audio controls, Air-conditioning, POWER: WINDOWS/LOCKS/MIRRORS, Cruise control, Symmetrical All Wheel Drive with Vehicle Dynamics Control. Our Principles of Love Promise: *Promise Pricing, No Negotiation *Non-Commissioned, Pressure Free, Efficient & Helpful Staff *48HR Money Back Guarantee *Eco Friendly Dealerships *Active Community Involvement *Open & Transparent Offices *Trade-In Guarantee: We Buy Even if You Don't. 28/37 City/Highway MPG Awards: * 2016 IIHS Top Safety Pick+ * 2016 KBB.com Best Resale Value Awards * 2016 KBB.com Brand Image Awards Proudly serving the Salt Lake and surrounding areas, including: Bountiful, Logan, Ogden, Park City, Provo and Tooele. Pre-owned vehicle pricing includes all offers and incentives. Tax, Title and Tags not included in vehicle prices shown and must be paid by the purchaser. While great effort is made to ensure the accuracy of the information on this site, errors do occur so please verify information with a customer service rep. This is easily done by calling us at (801) 553-5200 or by visiting us at the dealership.